Building the West by delivering projects on time, every time. 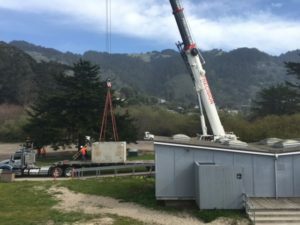 The project consists for component replacement and/or rehabilitation of specific equipment at the Grant Grove Wastewater Lift Stations. 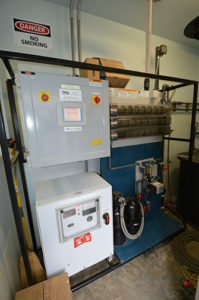 Component replacement and/or rehabilitation of specific equipment and related work items at Grant Grove Wastewater Treatment Plant including mechanical process pumps, class 1 division 1 electrical hardware, process control panels, sludge dewatering equipment and control panel, new flexible membrane fine bubble diffuser aeration equipment and related work items at the treatment plant. 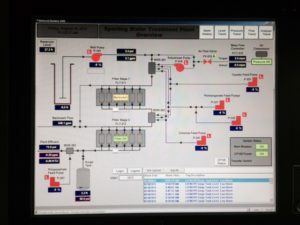 Other items include instrument replacement and SCADA control integration and related work items, sludge building extension with pre-engineered metal frame building to house roll-off bins. The project consists of lift station construction including all excavation, forming for cast-in-place foundation and walls for wet well and pump dry pit and dry pit celling/floor, construction of the wooden frame walls, roof truss placement, exterior & interior finishes, all roll-up door and man-door installation, wet well access hatch and roof installation, mechanical system placement and operational start-up of pumps, electrical systems and SCADA controls. The project consists of tenant improvements to expand the existing Cardiology and Dermatology departments currently located on Level 2 of Jefferson Hospital. Work includes relocation of the Dermatology Dept to shell space on Level 3 and conversion of shell space on Level 2 into Echo Lab. Minor demolition of non-structural walls, construction of non-structural walls, installation of casework, associated mechanical, electrical and plumbing work. 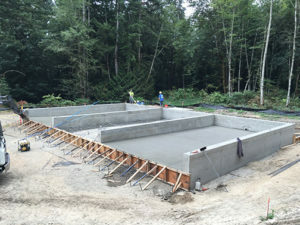 The project consists of installation of a 32’ x 20’ CMU filter building with metal roof, filtration system, a new 20’ x 24’ x 10’ deep below grade concrete clearwell, site piping, fittings and valves, a dehumidifier, heater, and exhaust fans, a new generator and concrete pad, new electrical and controls, modifications to the existing clearwell weir, replacement of vertical turbine pumps, electrical system upgrades, replacement of existing hypochlorite generator system, demolition of existing restrooms and construction of new restrooms, new sewer and manholes. 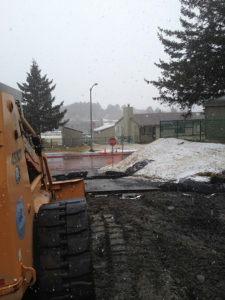 The project includes removing the debris pile located in the southwest corner of the parking lot. Debris may be used as fill for the septic tank and dosing siphon demolition. 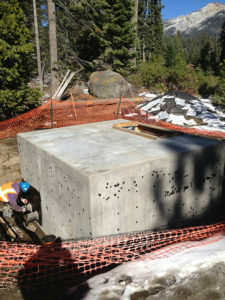 Supplying and install two precast concrete dual restroom vault toilets at the Crystal Cave Parking Area. The precast vault toilets shall conform to section 03 40 00 Precast Concrete Structures. Final location within the Crystal Cave Parking Area will be determined by the Contracting Officer. Repaving 300 square yards around the vault toilets and in the adjacent parking lot. 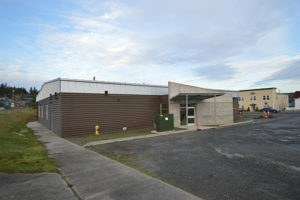 Restripe parking spaces affected by repaving and construct two accessible parking stalls adjacent to the vault toilets. 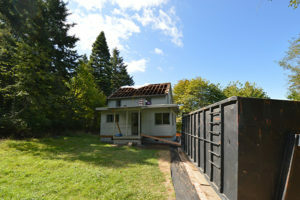 Demolish plumbing fixtures, equipment & accessories in the existing comfort station. Demolish existing wastewater system components in the parking lot area to include but not limited to: septic tank and dosing siphon. 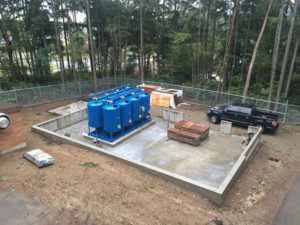 Demolish all existing wastewater system spray field components (bid option). Demolish existing wastewater system components in the cave entrance area to include but not limited to: manhole, cleanouts, and septic tank (bid option). 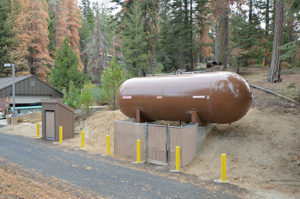 The project will rehabilitate critical components for two waste water lift stations: Lodgepole #2 and Lodgepole #3 in the developed areas of Lodgepole, Sequoia National Park. The project will address replacement of the original pumps, mechanical and electrical components. 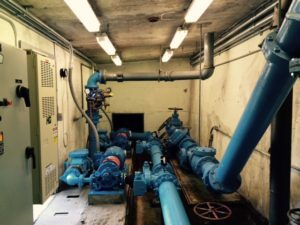 Work will include replacement of two pumps at Lodgepole #3; high/low float and monitoring alarm systems; 8-inch mechanical control valves and meters in the dry vaults; replace the 75-kilowatt diesel generator with a propane generator and appurtenances at Lodgepole #2. The work includes the installation of two (2) new slow sand filters, installation of a new overhead shelter and lighting for the filters, installation of associated piping, demolition of all aboveground plastic piping, piping modifications at the existing water treatment building, piping modifications for the existing 84,000-gallon tank, installation of a new UPS, reprogramming of the existing SCADA system, and startup and commissioning of the newly installed system. 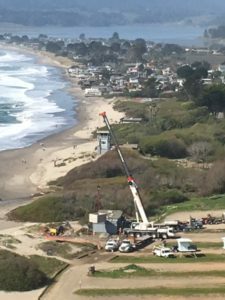 The work includes bid options for demolition of the existing slow sand filters and control tanks, disposal of miscellaneous plastic pipe near the treatment building, furnish two (2) new intake screens and replace access gate at headworks area, reprograming of the SCADA to run well no. 2 only while operating in generator mode. 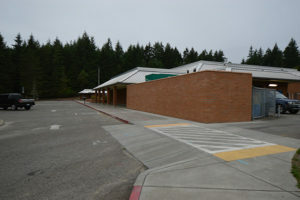 The work included new site grading to improve drainage, underground drain piping, new sidewalks and entrance ramp, new free standing comfort station, exterior drinking fountain, seismic upgrades to existing VC, renovate existing restrooms, updating electrical, lighting, boiler, hot water heating system, and ventilation systems, and replacing the single pane windows with new insulated units, replacing single pane glazing in exterior doors, replacing door hardware, creating a heated crawl space and adding new fire suppression system. 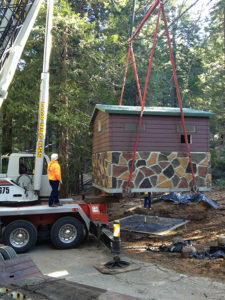 The work included the demolition and replacement of eight existing cabins and construction of a manager’s residence, which includes demolition and disposal of existing deteriorated cabins, site grading, installation of underground utilities, grading for new driveway/parking lot and building pads, construction of the footings/foundations and slab on grade for cabins and manager’s residence, construction of log cabin kit homes and pavement and concrete improvements. The cabins and manager’s residence construction will include all interior improvements as described on the contract drawings and documents. Second phase: construction of water main line & appurtenances incl. site work; removal of existing water faucets, valves, standpipes & abandonment of existing water mains. 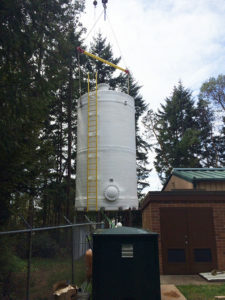 The project consisted of construction of a new well facility, including a new 1,500 GPM well pump, well house, sodium hypochlorite feed system, new PRV vault, a standby generator facility with fuel storage tank located on the site approximately 100 ft. from the well facility, and connection to the existing water distribution system. 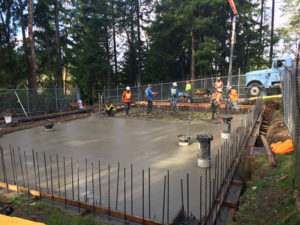 The Work of this contract consisted of the foundation construction and erection of a government provided (120’L x 40’D x 18’H) metal pole building with wash-rack bay concrete slab floor and stem walls with 6ft high Concrete Masonry Unit (CMU) wall. 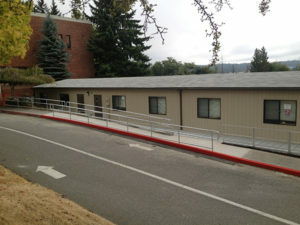 The project consisted of prepping and painting the entire roof on Building 7052 at Naval Base Kitsap. The project consists of demolition of the existing floating cover, liner, security fence, and associated appurtenances of Reservoir 4; installation of new chlorosulfonated polyethylene (CSPE) floating cover, liner, hydrodynamic mixing system, security fence, and other items as indicated in the contract documents. 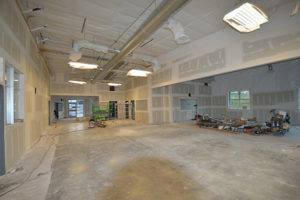 Work includes demolition of interior walls, demolition of an existing restroom, construction of a new restroom, combining two waiting rooms into one, construction of an additional exam room, construction of a new M.A. work area, new flooring and paint, some lighting and HVAC modifications. Minor demolition of interior walls, floor leveling to accommodate Nuclear Medicine Camera specs, addition of two sinks, flooring and lighting upgrades, patching and paint. Work occurs in an operational hospital so Infection Control Protocols will be stringent. Work occurs in three distinct locations within the Diagnostic Imaging Department. Install sprinkler systems and replace sprinkler heads in Olympic National Park, WA. 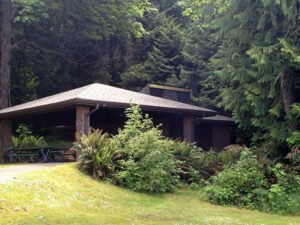 Work includes installation of new sprinkler systems protecting the Seacrest Lodge and replacement of sprinkler heads in the Kalaloch Lodge, and replace the sprinkler system in the NPS Maintenance Building at Kalaloch. 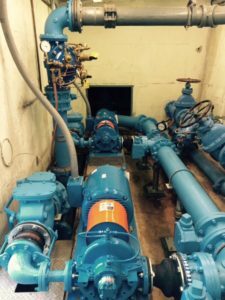 Rehabilitate the water booster pump station, water distribution system improvements that consists of 6″ water lines, 6″ water meter station, and hydrant replacements; and installation of vertical turbine pumps, mechanical piping, propane generator, water pipe and concrete vaults. Replacement of all roofing membrane, cover-board, taper and thermal insulation, flashings, and roof drainage systems at MSC and Recreation Building roofs. Repair / replacement of metal roof over central core of MSC. 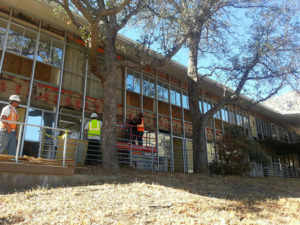 Repair / replacement of metal siding at penthouse of MSC. Installation of new fall restraint and arrest system. 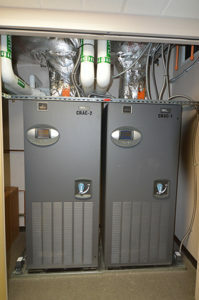 Demolition of existing heating and ventilating system, indicated on the drawings, and installation of new overfloor and underfloor radiant floor heating, new panel radiators, dedicated outdoor air with utilization of new and existing ducting and diffusers; spot cooling systems and related piping; new boilers; and related equipment, piping, wiring and controls, all systems complete. Removal of existing attic insulation and installation of new attic insulation, and air sealing of gaps at ceiling. Installation of underfloor insulation at crawl space. Weather stripping of operable windows. Repair and replacement of finishes indicated on drawings in the areas of work; patch, repair and paint any damage or exposed areas left from demolition. Complete replacement water supply and return lines, new hose bibs. The Regional Decant Facility Retrofit project consists of the construction of a new three bay decant structure with metal roof, below grade concrete structure with metal roof to house a dumpster, lined bio-retention pond, swing arm access gate, water catchment system, oil/water separator vault, Aqualoader water supply/meter, storm water piping 2-inch polyethylene water, grading, asphalt and Electrical. 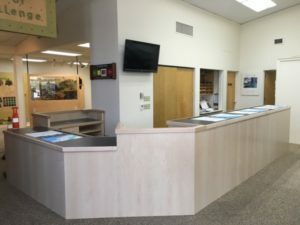 The work of this contract includes demolition of existing information desk/counter space cabinetry within the Foothills Visitor Center. Patch, repair and paint any damage or exposed areas left from demolition, installation of new information desk/counter space with mobile unit and associated electrical receptacles and conduit. Replace failing siding and repair water damage to buildings A, P, and Q. Work includes fuel storage and HVAC improvements to the existing Grant Grove Wastewater Treatment Plant. 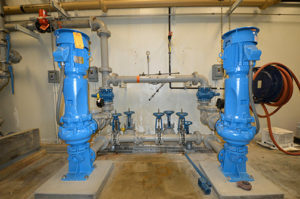 Replacement and or rehabilitation of specific equipment and processes and related work items at both Grant Grove and Clover Creek Wastewater Treatment Plants. 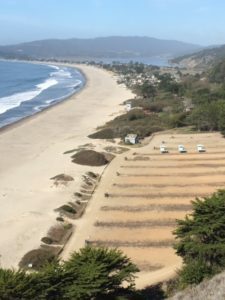 Rehabilitate the Stinson Beach Waste Water System to include primary treatment, new secondary RTF treatment and centralized pressure disposal field. 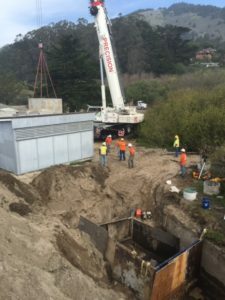 JMG Constructors, LLC’s Scope of Work included the replacement of two pumps, and related piping and appurtenances with new pumps, piping pressure transduces, telemetry system modifications and other appurtenances at the water pump station and reservoir site within Fort Baker. The work was executed in three phases with each phase being substantially complete before beginning the next phase. This project included substantial upgrades to the mechanical and electrical systems serving the City Hall Data Center and 911 operations and Radio Data Room for PENCOM. The project also included architectural work for a new mechanical room, ceiling replacement and other miscellaneous items. 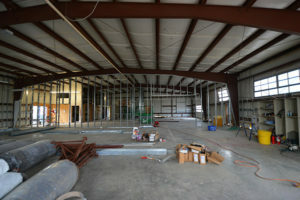 The mechanical work includes 10 tons for hydronic cooling and related ductwork and hydronic piping to the City Hall Data Center, and an additional 3 tons of DX cooling and related ductwork to the Radio Room. 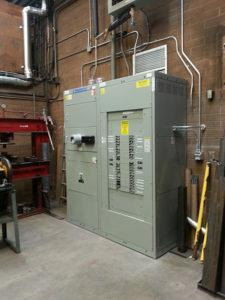 The electrical work includes the replacement and addition of generator breaker, generator charger, 3 automatic transfer switches, 3 UPS systems to the City Hall Data Center and the Radio and Phone Rooms, upgrade, addition and replacement of feeders and panels and related power distribution. 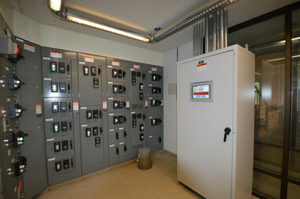 The fire suppression and detection work includes replacing the gas fire suppression systems in the Data Center, Radio Room and Phone Room, adding a cross-zoned VESDA (2 separate detectors) systems to the City Hall Data Center and additional single zoned VESDA systems in the Radio and Phone Rooms. This project includes significant coordination and temporary power and cooling provisions are required. 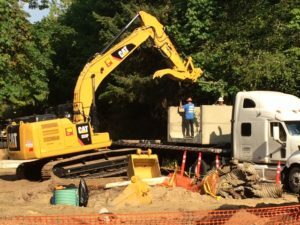 This project is for the replacement two culverts that are currently barriers to fish passage and restore fish passage through the park property. One existing culvert is 18” CMP and the other is 3’ HDPE and both are replaced with split box culvert sections with wing walls. The new crossing are designed using stream simulation methods. Additional work includes the rerouting and restoration of domestic water line to park shop building and irrigation line and sprinkler head to entrance island, bringing primary power to the park shop area and underground secondary power to the entrance island for sewer lift station and sign flood light, relocation of “winter water” hose bib with frost proof valve, replacement of gravity sewer manhole with simplex pump lift station including all plumbing, electrical supply and control panel, preparation of finish subgrade for HMA paving for the relocated return to park route, placement of continuous cement concrete curbing, replacing top soil and lawn sod, fabricating and installing a new park entrance sign, landscaping plantings, and installation of new HMA Class ½” overlay to existing park entrance road, exit road, contact station area and parking area. 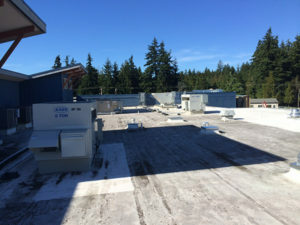 HVAC and Roof System Replacement including base bid work including removal and replacement of the existing roof mounted and building interior mechanical systems and removal and replacement of the existing roof system. Install woven wire partitions with sliding doors and filter/regulators and extend low pressure air lines. 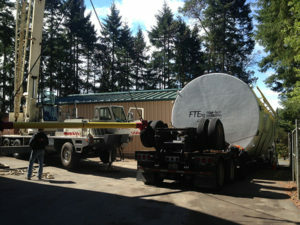 Install static discharge reels and extend circuits. Remove the floor tile in work area and install new ESD floor tile. 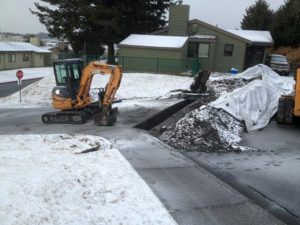 Prime Contractor: Matho Construction, Inc.
JMG Constructors, LLC’s Scope of Work included replacement of a water service line serving three housing units. The new line provided three housing units with water service via an existing 6” water line currently feeding other quarters in the vicinity and include a single corporation stop for the three units. 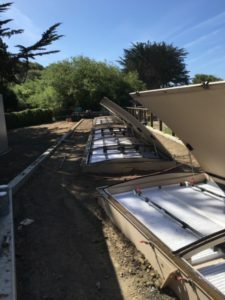 The new service line provides feeds to all existing feeds within each unit, and were properly buried and/or insulated to prevent freezing and/or sweating. The existing service line was drained and capped at the water main and the existing valve was removed after the new service was established. All of the paving that was removed in the course of construction activities for this project was replaced. The project was executed with urgency in extreme conditions as the request of the owner due to the fact that the existing waterline was incapable of adequately serving the existing residents due to an apparent blockage. This project was for the removal of an existing 6-zone electrical resistance mechanical unit and replacement with multiple heat pumps. In addition, associated work also includes Structural upgrades for new units, HVAC, controls, electrical and finish revisions. 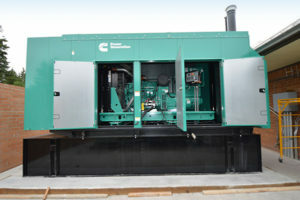 This project was for the installation of emergency lighting and replacement of an emergency generator with a new back-up generator. 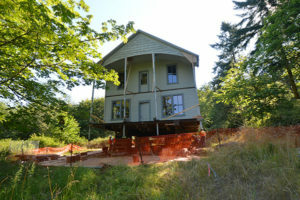 This project was for the structural stabilization of the Crook House at English Camp. 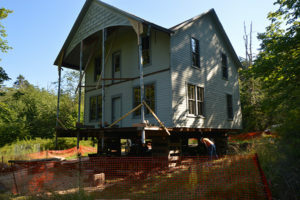 The building is a historic structure that is a contributing element of the English Camp Cultural Landscape. 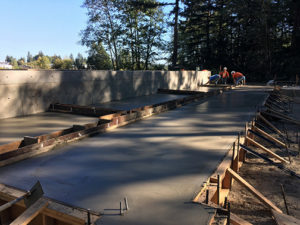 The work included lifting the structure for the removal of the existing foundation, construction of a new poured-in-place concrete foundation and footings and the structural stabilization of the building. 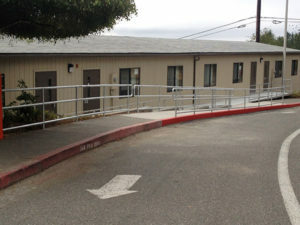 Additional work items included rehabilitation of the building exterior, Construction of new framed exterior walls and interior shear walls with new roofing and the reconstruction of each and west entry stairs and porches and the re-grading of exterior to address existing drainage issues. 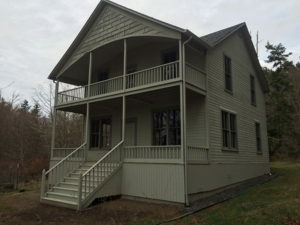 Since the building is part of the National Historic Landmark and is listed on the National Register of Historic Places, great care was taken to retain the intrinsic characteristics of the structure while making improvements. During construction, several additional items were identified by JMG that needed to be addressed. JMG worked with the Architect and Engineer (as well as the Archeological Monitor) to add these items to the work while maintaining the historic integrity of the site. This project provides for the well head treatment for control of iron and manganese, as well as the addition of chlorine generation facilities and installation of an emergency back-up generator and automatic transfer switch. 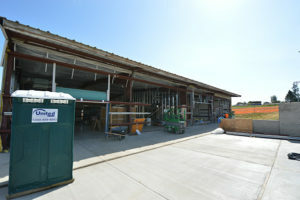 Construction also included a pre-engineered building, which was erected by JMG’s crew, to house the treatment facilities, the piping to convey well water to the treatment facilities, pressure filter vessels, backwash recycle tank, chlorine storage tank and feed pump, yard piping and electrical and associated site civil work to prepare the site and provide access to the facility. This project is the second phase of an overall project for the construction of a potable water treatment and supply facility. 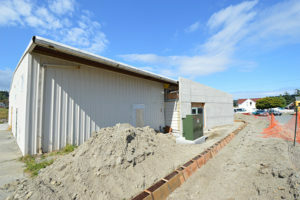 The first phase completed the site work, yard piping, concrete building slab and erection of the metal building. JMG was awarded the second phase of the project, which included furnishing and installing the treatment and chemical equipment, interior piping, electrical, HVAC, instrumentation and control, and new well pump, well head, and associated connections. 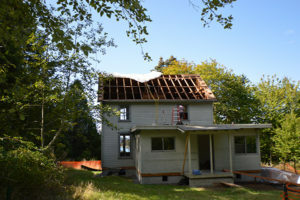 This renovation project consisted of selected demolition, new roofing, siding, windows, doors, interior framing and finishes, electrical and mechanical work additions front and back, and sitework. 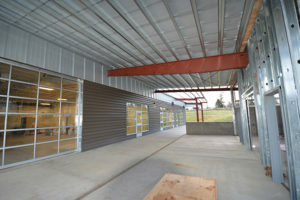 The existing metal building consisted of 10,000 SF of wood shop and tech classes. Remodel of the building added 4500 SF with updated finishes, electrical, data, fire alarm, HVAC and usable work and office space. 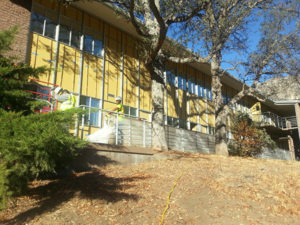 JMG Constructors LLC Scope of Work includes upgrading the exterior envelope of the Historic Visitors Center/Administration Building a the Foothills Visitors Center. 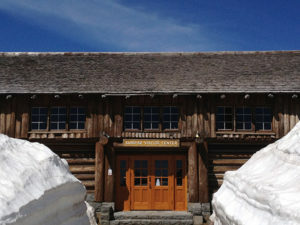 The Building originally constructed in the early sixties as part of the National Park Service Mission 66 program desperately needed Envelope Renovation as well as Heating and Cooling system replacement. 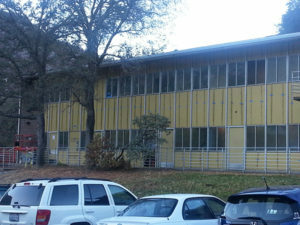 JMG Constructors LLC demolished existing storefront panels and replaced with panels that had twice the r-value of the original as well as replacing the original single pane windows with high efficiency glazing units. 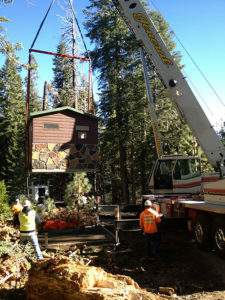 Rehabilitation of the existing shops building in the main campus at Sequoia and Kings Canyon National Park. 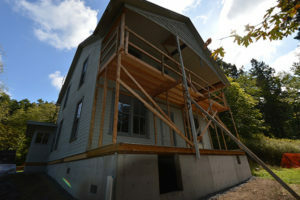 Project includes rehabilitating the HVAC and electrical system in a 50 year old structure. 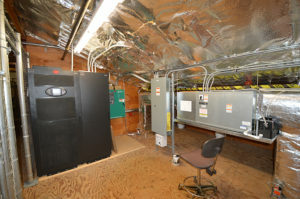 JMGC scope included the electrical and HVAC portion of the work. Project included envelope upgrades performed by the prime contractor and JMGC also provided project management consultation to the prime contractor. 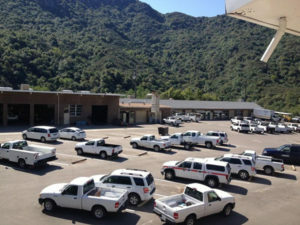 Project included upgrading an existing water system in Kings Canyon National Park including new water lines, new treatment and pre-treatment systems, demolition of an existing treatment building, rehabilitation of two wells, construction of a new treatment building and electrical and HVAC for that structure. JMGC scope on this project was project management consultation only. Helping the prime contractor with the knowledge of working for the Park and with the local vendors. 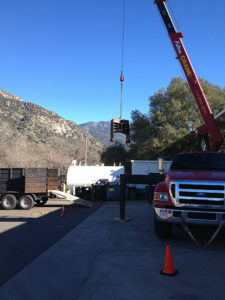 Rehabilitation of four existing water systems in Sequoia National Park. The project is spread out over a 10 mile area at roughly 6,000 feet elevation. 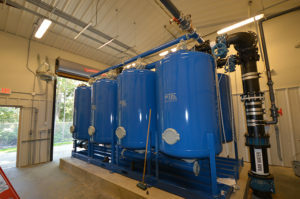 JMGC scope consisted of two new treatment buildings (in separate locations) including equipment to treat raw water and produce finished potable water. 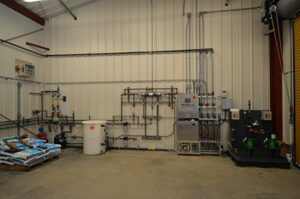 Buildings included new electrical, HVAC, and SCADA systems. 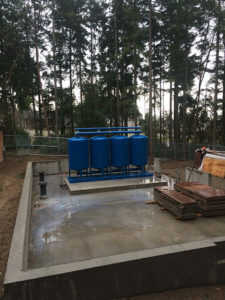 Another component of the project was the installation of a MIOX disinfection system in an existing water system. Project management consultation to the prime contractor was also part of this project. 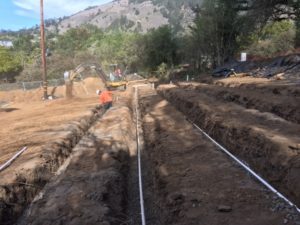 This project was for the design and installation of automatic wet pipe (antifreeze) and dry pipe fire suppression systems at the Sunrise Visitor Center and North and South Blockhouses at approximately 6,400 feet elevation. The system included buried and aboveground distribution piping. 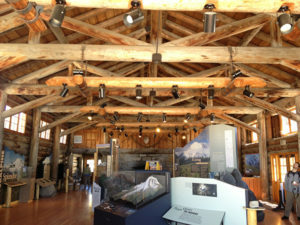 The Visitor Center is a 3,000 square foot open truss, log structure with 25-foot high ceilings. It is a National Historic Landmark. 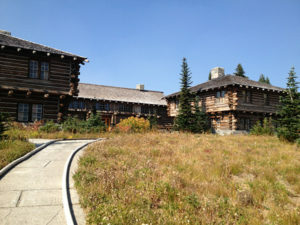 The North and South Blockhouse buildings serve as employee residences and are contributing buildings in the Mount Rainier National Historic Landmark District. In order to provide continued housing for NPS staff, the work for this project was performed in stages in coordination with the NPS personnel. 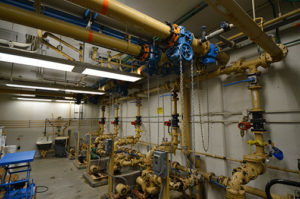 A tap connection to the existing water supply line was made and a DIP line was stubbed in to the Visitor Center crawl space with a gate valve located outside of the building to control flow to the Visitor Center. Prime Contractor: San Juan Construction, Inc.
JMGC scope included demo of existing pier surfacing and installation of 6 mini-power foundations for support of naval vessels. 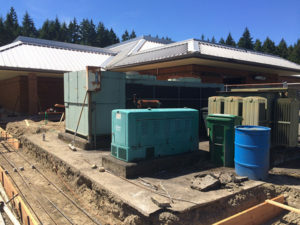 Additional work included installation of a remote transformer foundation; foundations for two separate electrical transformers weighing over 35,000 pounds each and concrete containment wells for each transformer to capture hazardous PCBs should a transformer fail. 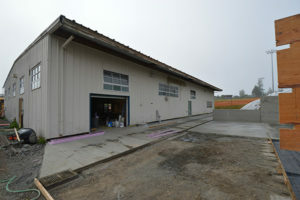 Concrete curbs, two switch gear pads, drains and piping, including oil/water separators were also part of this project. 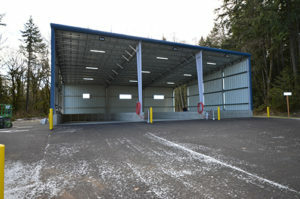 All work performed in a very sensitive environment with many different controls in place requiring advanced security clearance to access the Controlled Industrial Area of Naval Base Kitsap. 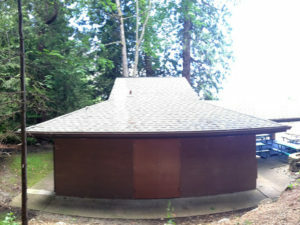 Remove existing composition shingles on a restroom/picnic shelter and replace with 40 architectural laminated shingles. 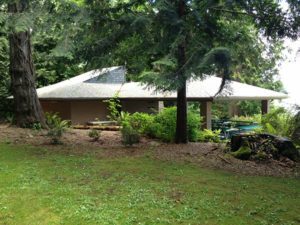 Replace rotted roof decking, insulate mechanical room and weatherize portions of the shelter. 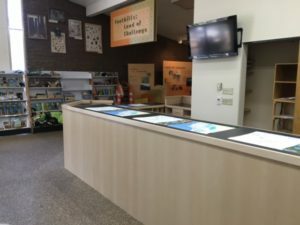 The park remained open while work commenced and was completed which entailed applying special safety program controls to protect the public and park employees. 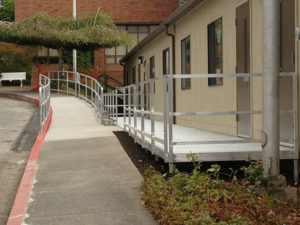 Project consisted of removing non-compliant wood and concrete ramps to meet new Americans with Disabilities Act. Soils removal, concrete curb and walk removal and replacement, installation of gravity block retaining wall and new ADA compliant hand rails were also included. Environmental controls for noise, dust and erosion were a major part of this project.